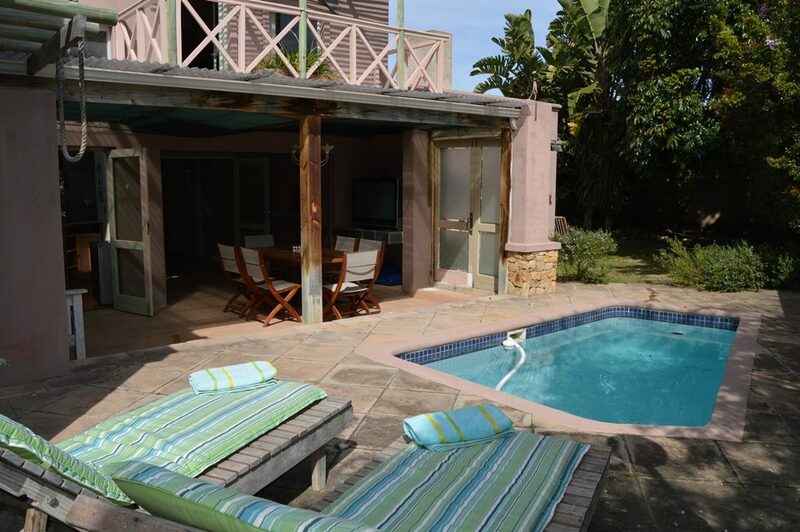 4 Bedrooms/2 Bathrooms – SLEEPS 8. 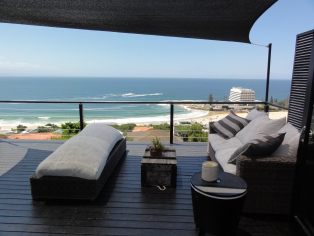 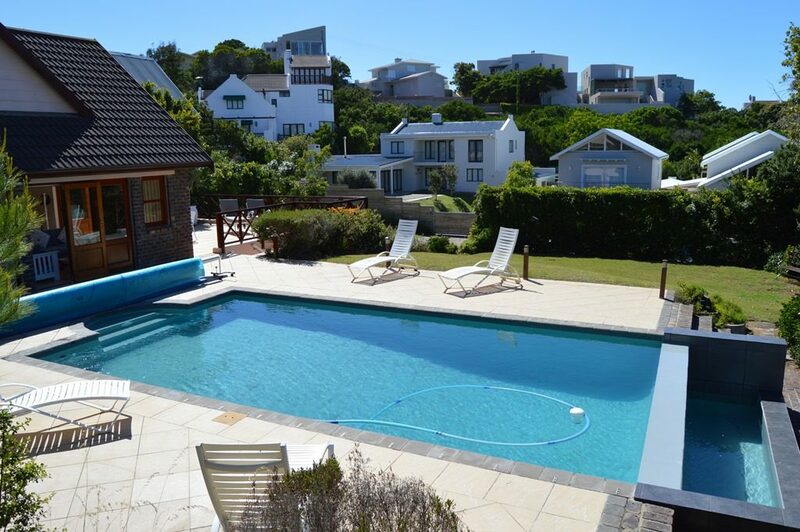 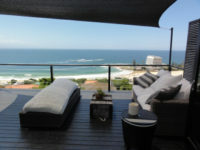 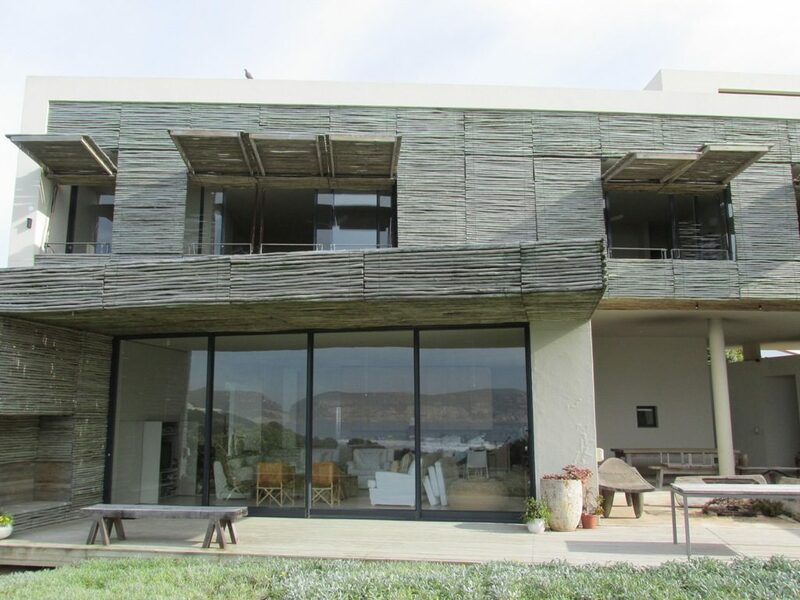 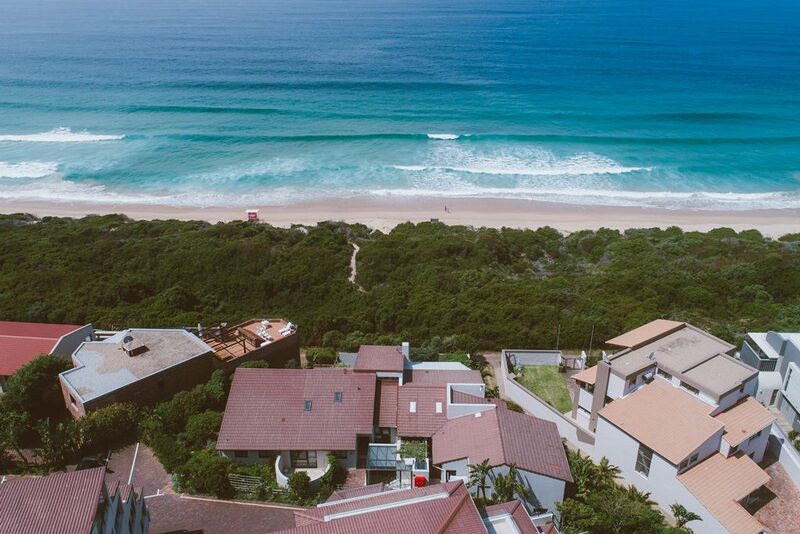 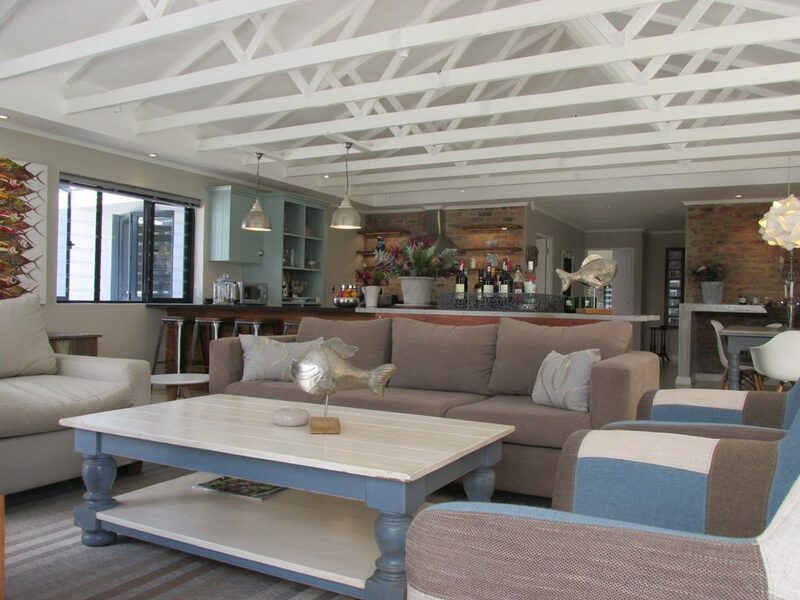 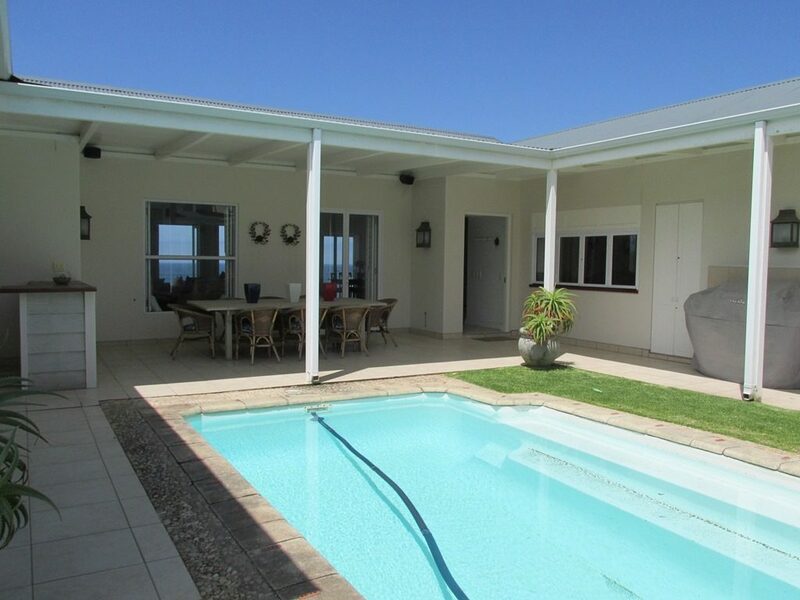 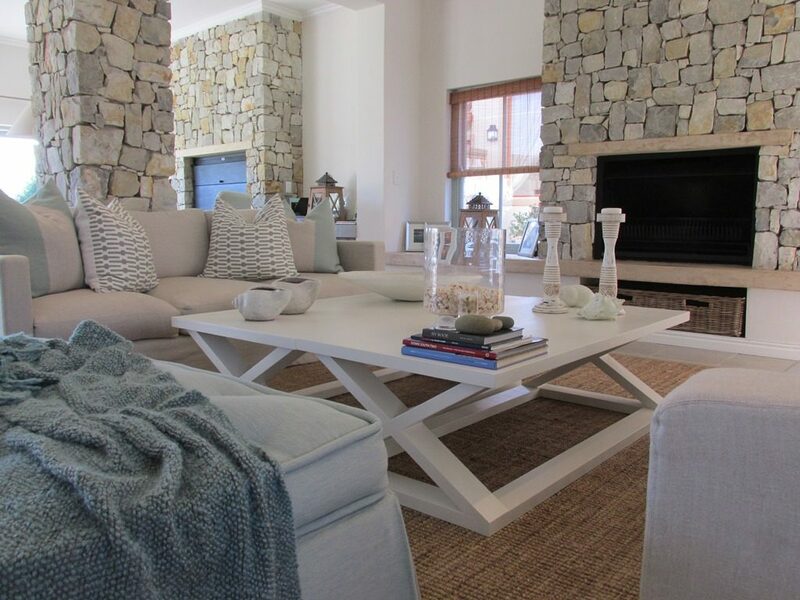 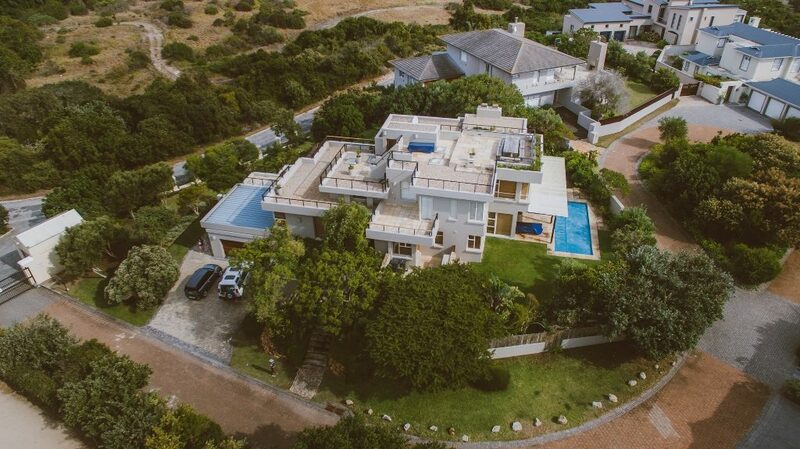 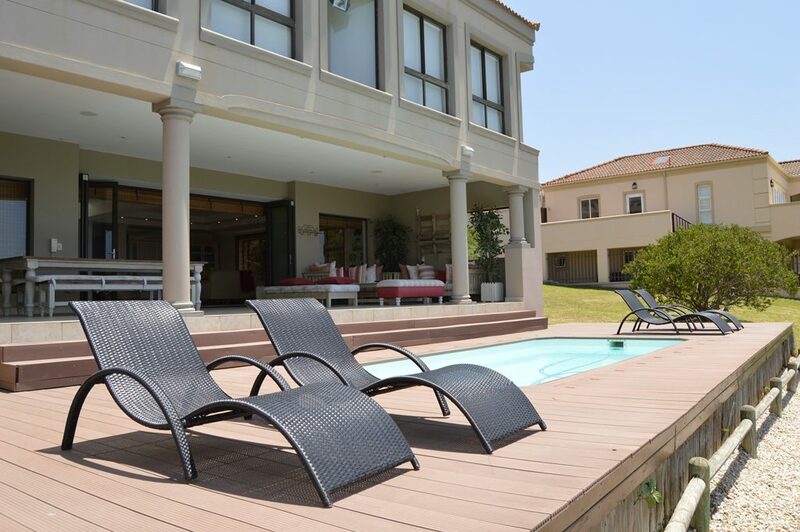 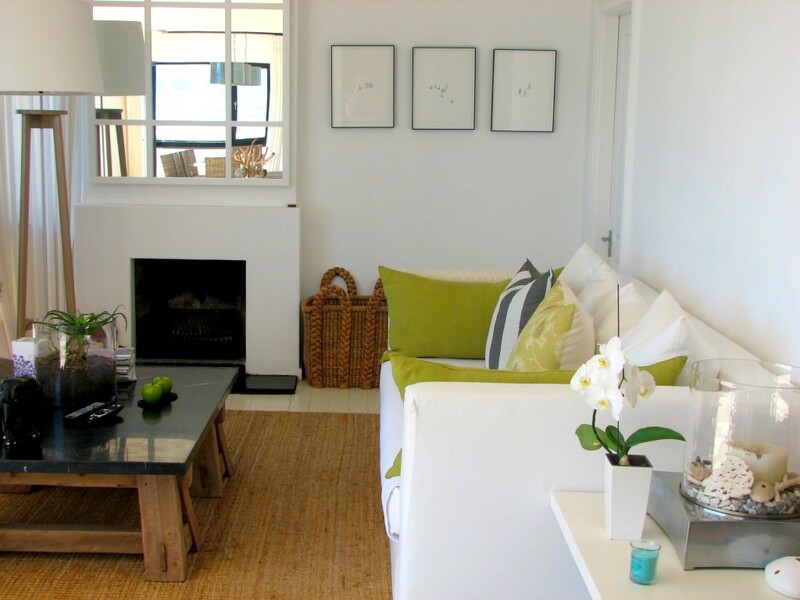 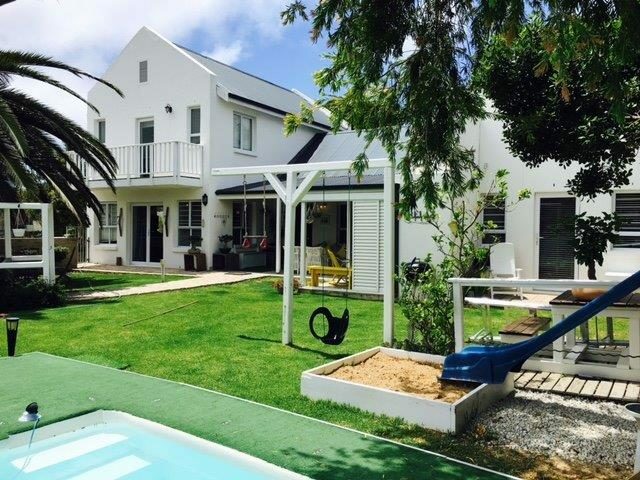 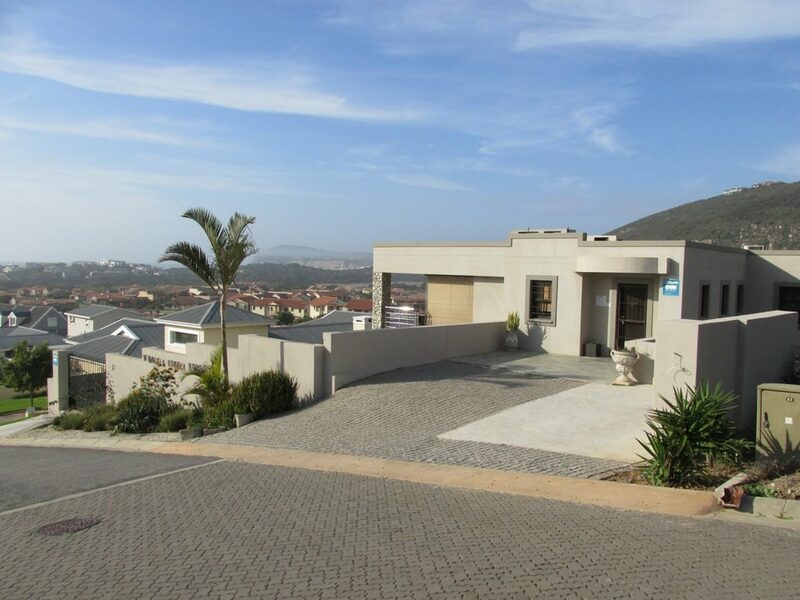 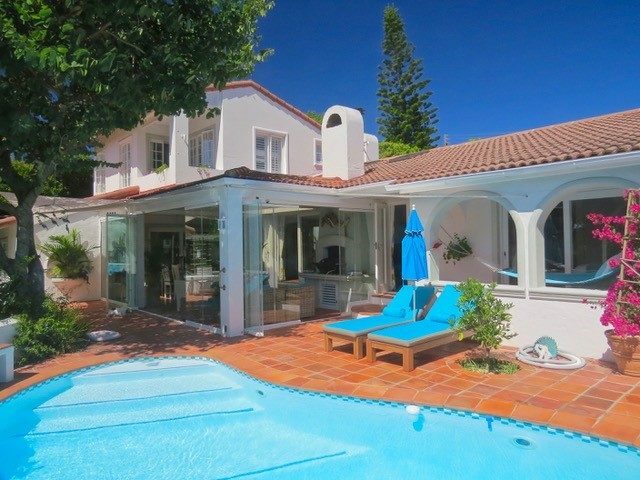 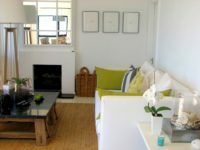 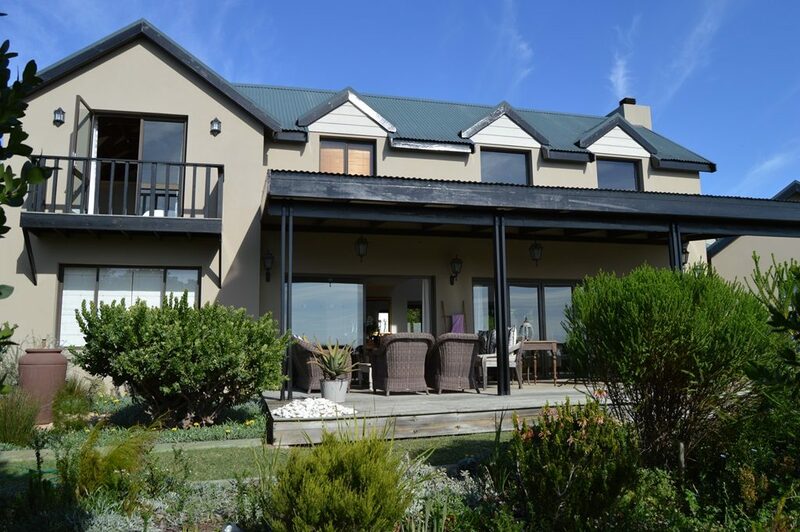 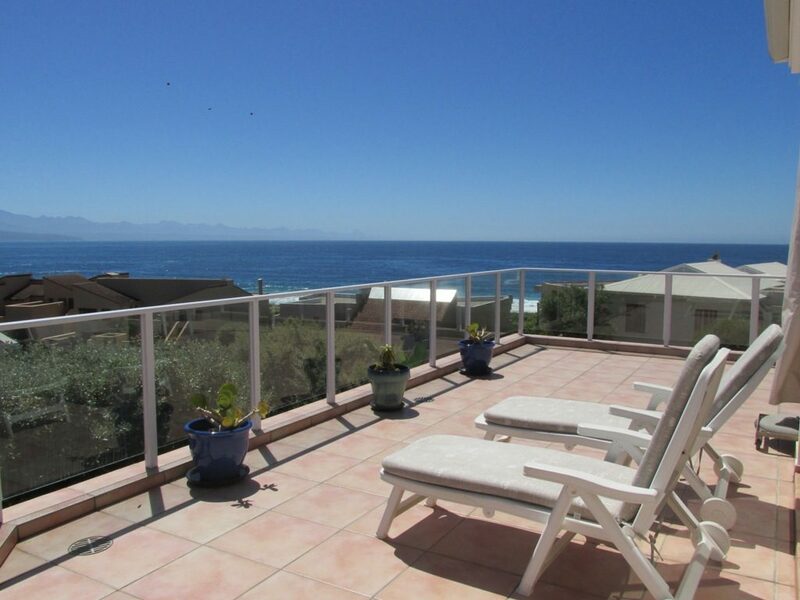 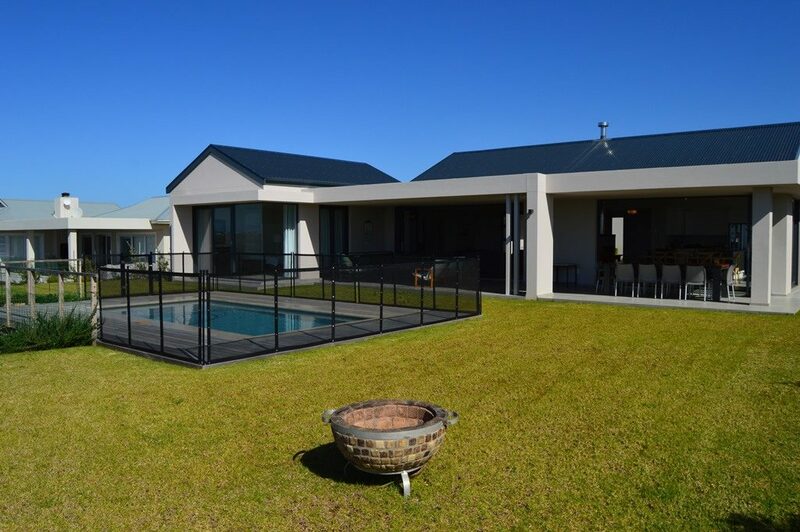 Modern home with stunning views located a few minutes from Central Beach with its own plunge pool & gorgeous sea views. 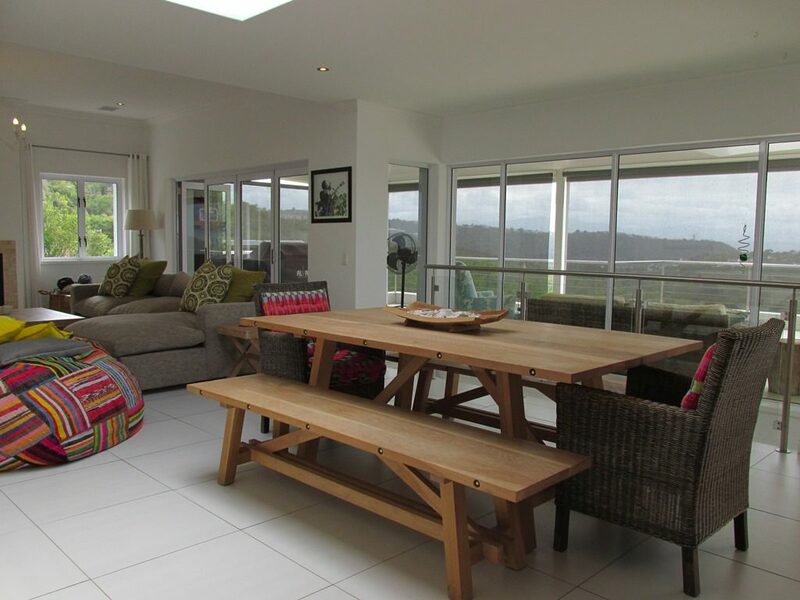 The house is on three levels, the middle floor being the living / entertainment area which is open plan to the kitchen. 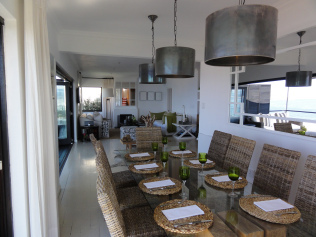 Glass doors fold away onto a large outdoor patio with a seamless 270 degree view of Formosa Bay. 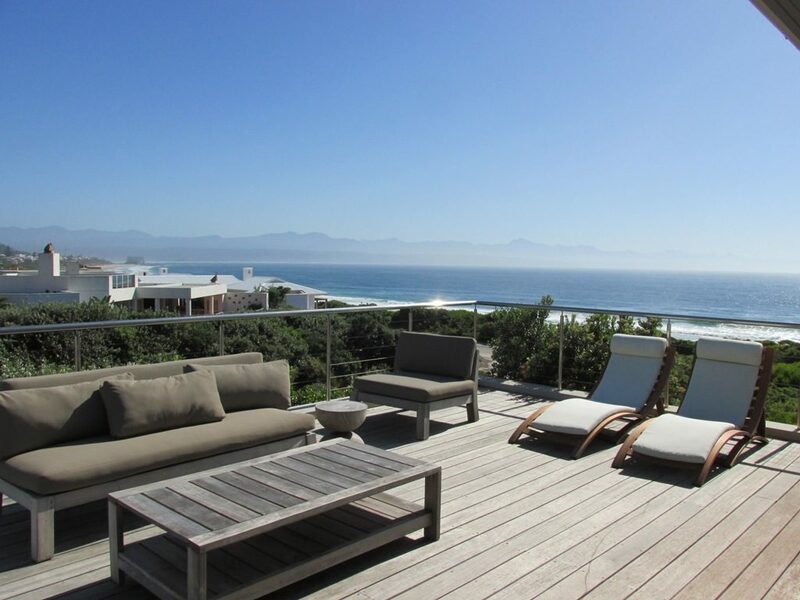 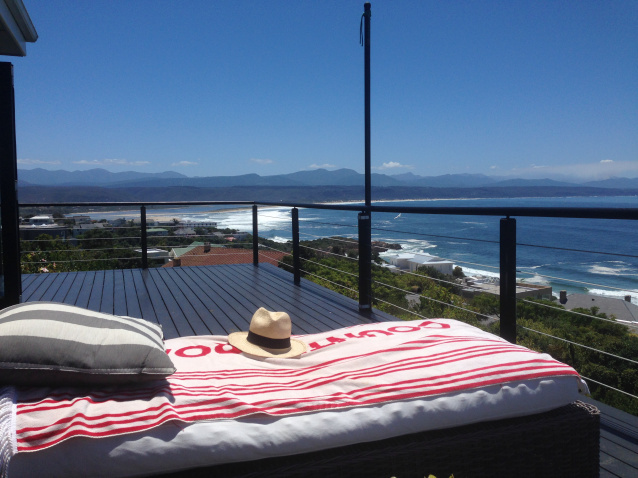 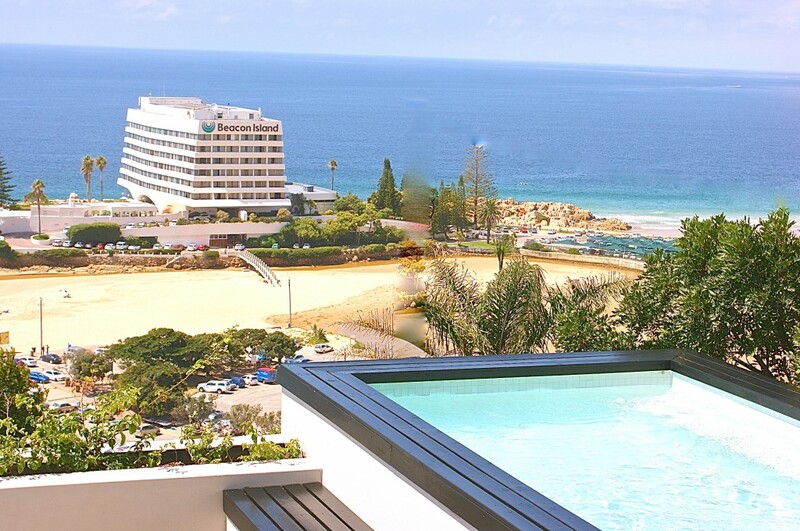 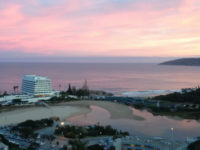 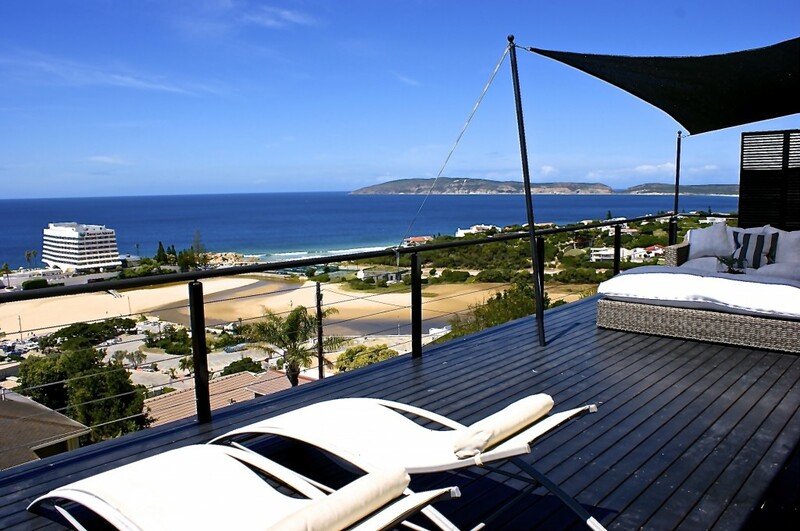 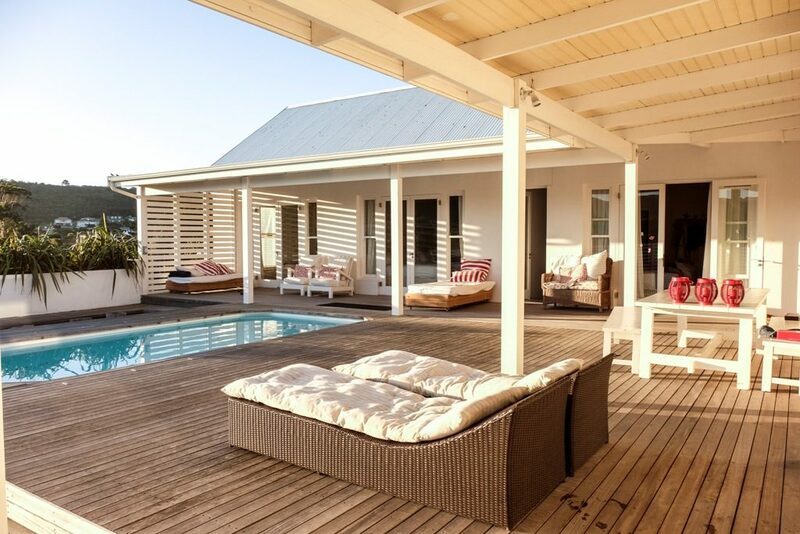 A covered outdoor lounging area offers arguably the best views in Plettenberg Bay. 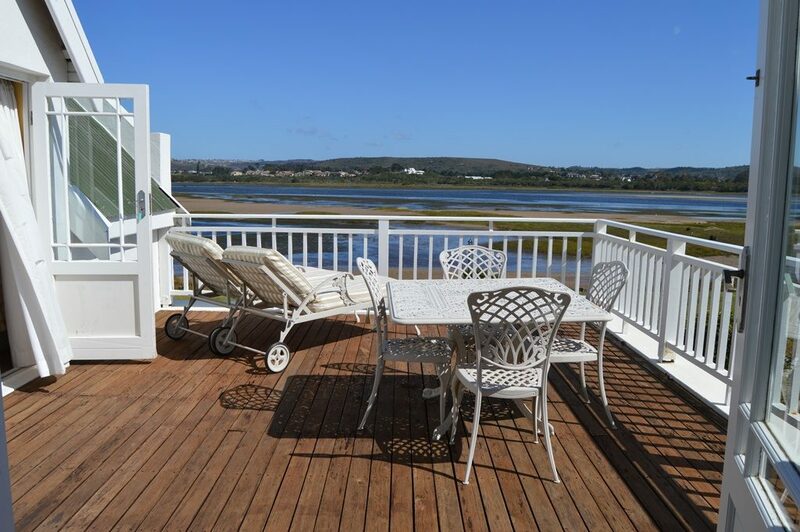 There is an area at the back on this level canopied by tall trees which serves as an alfresco eating area on the hotter summer days and has its’ own fantastic views of the lagoon. 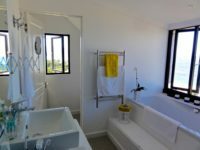 The middle level also has a double bedroom with a shower and toilet en-suite. 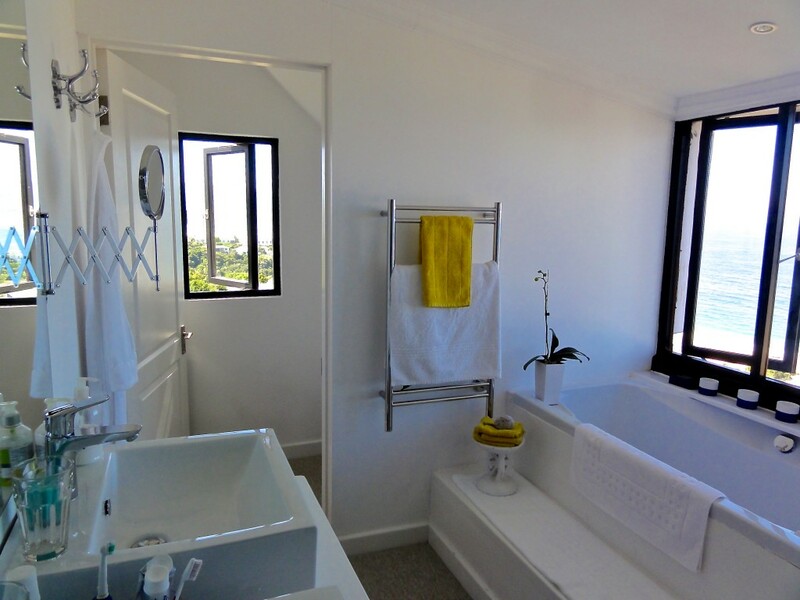 The front entrance to the house is on the bottom level which has two spacious bedrooms which can be doubled or twinned as needed and a separate bathroom with bath and shower. 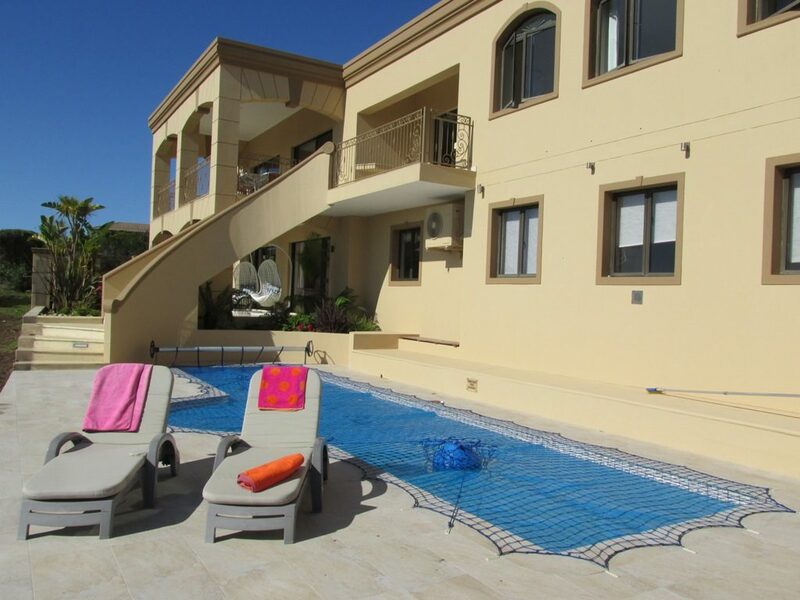 One of these bedrooms has a juliette balcony overlooking the swimming pool. Both rooms are light and airy and have fantastic views of the sea. 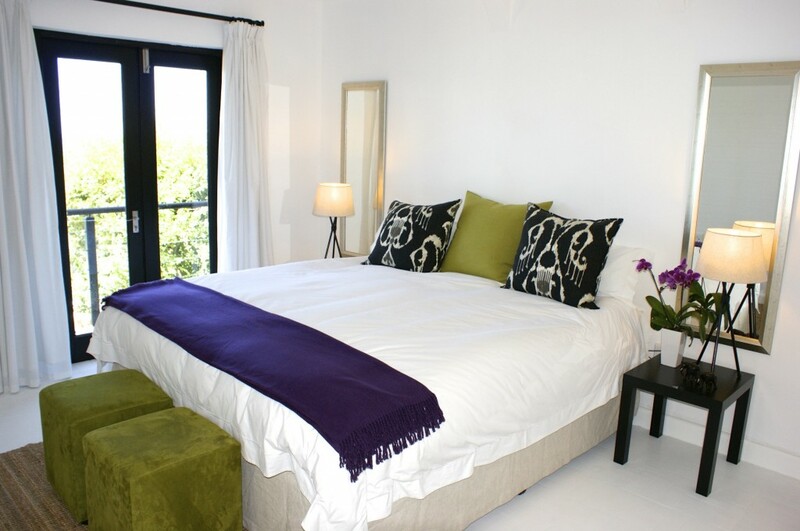 The top floor of the house is one very large bedroom with a double bed and full bathroom en-suite. 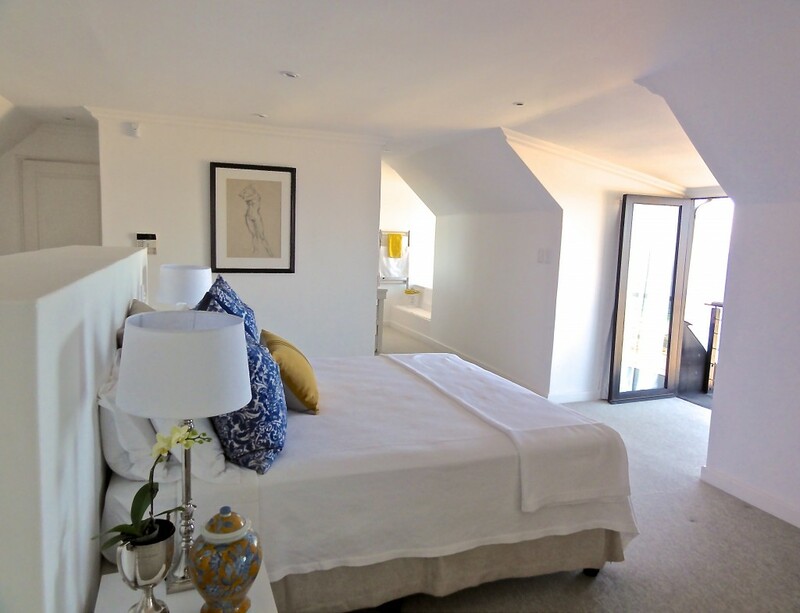 This room is the main bedroom and has doors opening onto a juliette balcony with spectacular views over the bay. 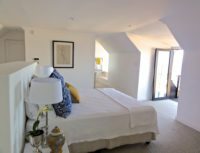 Four double bedrooms of which two can be twinned if needed, two with en-suite bathrooms. 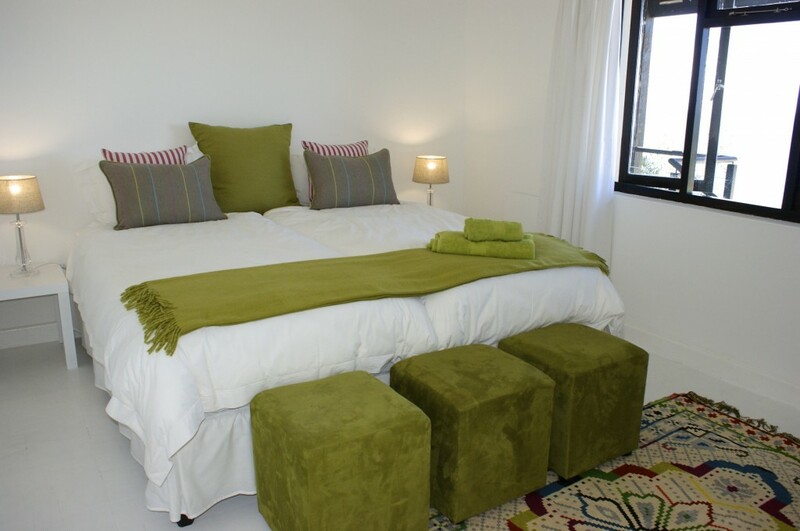 Mandatory maid to work a minimum of 3 days per week at R180.00 per day. 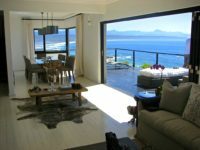 Her wages are not included in the rental. 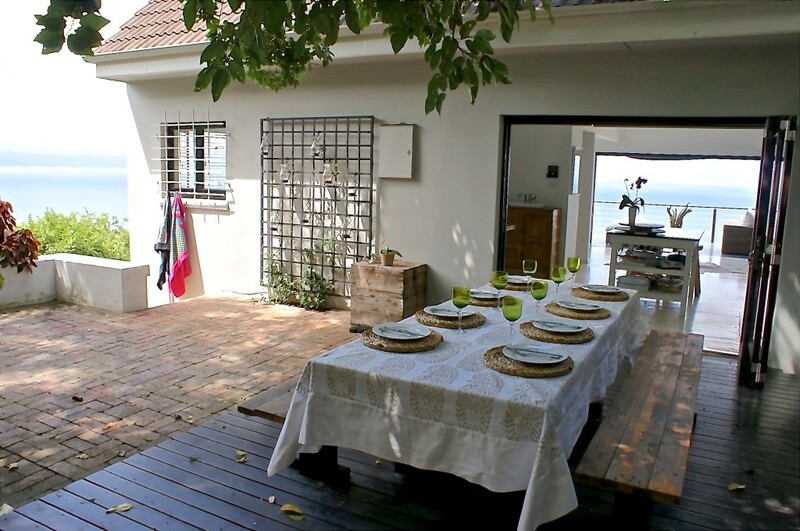 Hob, oven & outdoor barbecue.